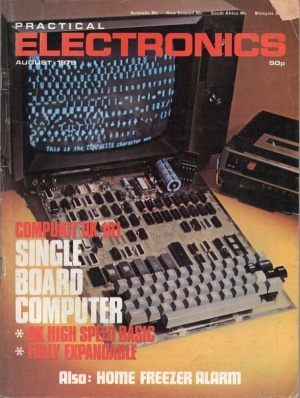 A series of articles describing how to construct the Compukit UK-101 computer appeared in Practical Electronics - a UK electronics magazine founded in 1964. The articles ran from August through November 1979, with followup articles appearing over the next several years. The articles were written by Dr. A. A. Berk, B.Sc. Ph.D. - an individual that appears not to have left much of an Internet footprint. This page was last modified on 6 January 2014, at 18:51. This page has been accessed 22,012 times.